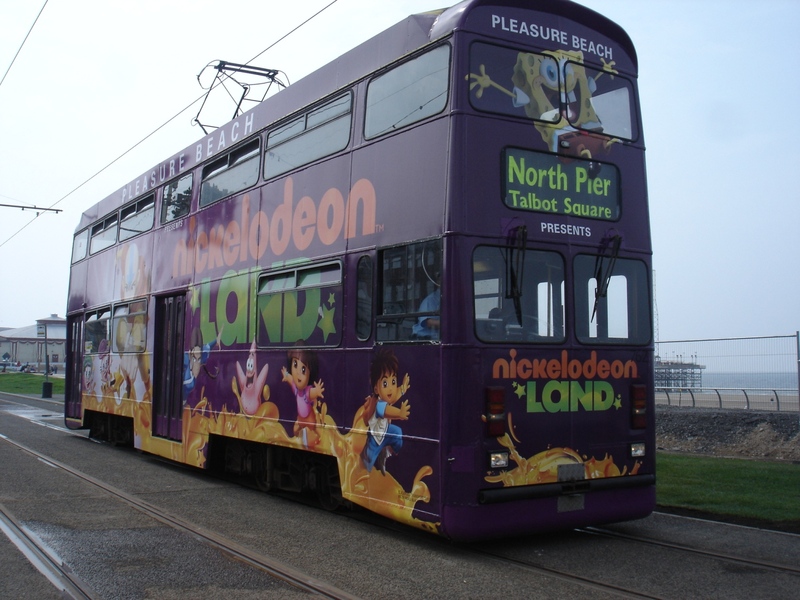 Jubilee Car 762 has emerged as the second new advert car for this year, advertising Nickelodeon Land which is new at the Pleasure Beach and due to open in May. The livery is a deep purple with eye-catching orange and green text, a minor detail to be noted is how Spongebob on the top front windows slightly overlaps the destination blind which has almost definitely not happened before. 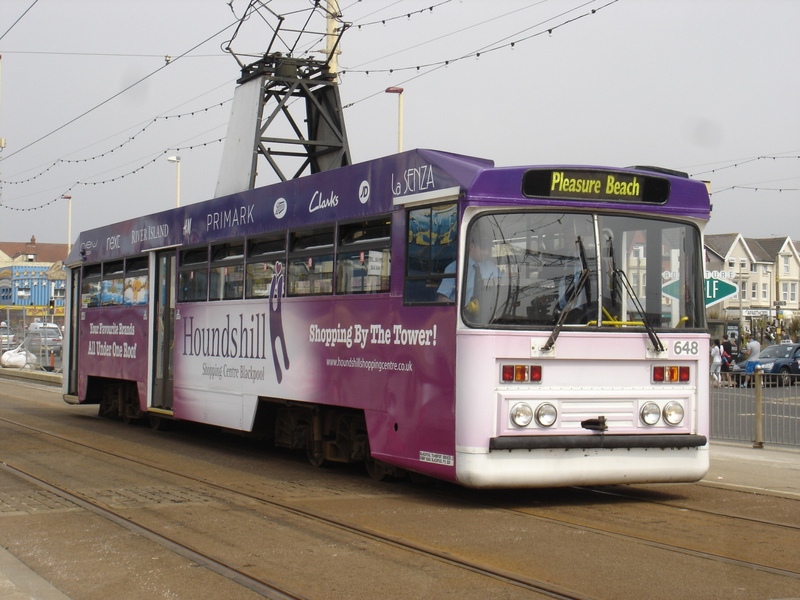 It is likely that this will be the final livery 762 will ever carry in Blackpool as it is due to move to Crich at the end of the year. After a Winter break recording the longest closure in the entire history of the tramway, the Blackpool Tramway finally resumed on the 22nd of April operating between North Pier and Pleasure Beach. Unlike previously reported, the service was not made up of Centenary Cars and instead Blackpool Transport wisely decided to use Double Decker’s along with many specials, generally making up a 7-8 minute frequency throughout the day on the Easter Weekend. On Saturday 23rd April the following trams were noted in service; 600, 646, 648, 711, 715, 717, 719, 721 and 762 which was a considerably good amount with the short amount of line in use. Amongst these were 648 and 762 which were both making their second appearance in new advert liveries after also being out on the first day, Friday 22nd.